Indian Republic Day January 26, 2019 was observed as “Black Day” by the residents of Indian Occupied Kashmir (IOK). Pakistani flags were hoisted on roof tops by the Kashmiris. On February 3, 2019, Indian Prime Minister (PM) Narendra Modi visited IOK, but the entire Valley was in a state of lockdown. On February 5, 2019, Kashmir Solidarity Day was observed throughout the world with speeches, rallies, photo-exhibitions depicting Indian brutality and seminars condemning Indian atrocities were organised in various capitals of the world. It appears that with the renewed efforts by Pakistan, the cause of the Kashmiris is likely to gain impetus and bring international censure on India for its dismal human rights records. Besides the Kashmiris of IOK, some other renewed separatist movements in India merit mention. In the intervening night of February 1 and 2, 2019, two villagers, identified as Nirmal Goswami and Samru Kosmi, were shot dead by the Communist Party of India-Maoist (CPI-Maoist) cadres, over suspicion of being ‘Police informers’, near Markegaon village in Dhanora Tehsil (revenue unit) in Gadchiroli District. On January 30, 2019, a villager, identified as Wale VanjaKudyami, who was abducted by CPI-Maoist cadres over suspicion of being a ‘Police informer’, was found dead at Pengunda Phata under Bhamragad taluka (revenue sub-division) in Gadchiroli District. On January 27, 2019, another villager, identified as SansayTanuBeig (32), who was abducted by a group of CPI-Maoist cadres over suspicion of being a ‘Police informer’, was also found dead in Jaravandi village under Etapalli Tehsil in Gadchiroli District. On January 22, 2019, three villagers were shot dead by CPI-Maoist cadres on suspicion that they had passed on tip-offs to the Police that led to a massive anti-Maoist operation in which 40 rebels were killed in 2018, in Gadchiroli District. A group of around 150 armed Maoists from Chhattisgarh, who entered Kasansoor village near KosfundiPhata in the Bhamragad taluka of the District, abducted six villagers. Later, their bodies were thrown near the Kosfundi diversion on the Tadgaon-Bhamragarh Road. The spurt in civilian killings is an indicator of growing unrest amidst the Maoists. The third hotspot is in Tripura. On January 29, 2019, the Indigenous People’s Front of Tripura (IPFT), a Tripura based tribal political party, an ally of the ruling Bharatiya Janta Party (BJP), along with another ten political parties of the Northeast, met in Guwahati, the capital of neighbouring Assam, to announce their opposition to the Citizenship Amendment Bill (CAB). CAB was approved by the Lok Sabha (Lower House of India’s Parliament) on January 8, 2019. The bill is yet to be passed in the Rajya Sabha (Upper House of Parliament). On January 27, 2019, the head of the erstwhile royal dynasty of Tripura, Pradyot Kishore Manikya Debbarma, criticised the Government over CAB. Debbarma was speaking at a protest CAB, organized by the Tripura United Indigenous People’s Council (TUIPC), a joint body of 48 formerly militant organisations’, who had given up violence and whose cadres had surrendered over the past several years. On January 22, 2019, TUIPC had also announced a series of joint movements in coordination with Tripura-based tribal parties and organisations, to be initiated from January 26, against CAB. Earlier, on January 8, 2019, at least six Tripura Students Federation (TSF) activists were wounded in a clash with the Police during an anti-CAB demonstration at Madhav Bari in the Jirania area of West Tripura District. On the same day, the State Government suspended mobile internet and SMS services in the entire State for two days, following the clashes. Later, on January 8, the Indigenous Nationalist Party of Tripura (INPT), a Tripura-based tribal political party, along with four other tribal parties, including IPFT-Tipraha group, Twipra State Party (TSP), National Conference of Tripura (NCT), and Tripura People’s Party (TPP), called for a general shutdown on January 12 to protest the incident. Another issue which plagues the State is the renewed demand by indigenous tribals for a separate state ‘Twipraland’. IPFT, one of the three tribal based political parties in Tripura [the others being the Indigenous Nationalist Party of Tripura (INPT) and National Conference of Tripura (NCT)], which is an ally of the BJP led State Government, had called for a dawn to dusk general shutdown in the Tripura Tribal Areas Autonomous District Council (TTAADC) area on December 5, 2018, demanding separate statehood for the tribal areas and withdrawal of CAB. 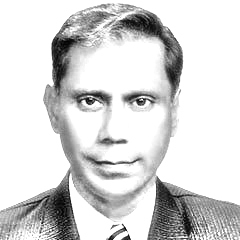 The main impetus of the insurgency in Tripura was the influx of refugees from East Pakistan (present day Bangladesh), which reduced the indigenous population to a minority in the State. The local population’s ire over CAB must be seen in this light, and any destabilizing impact of this hasty legislation could result in a resurgence of violence in the State. Mizoram and Nagaland are also simmering. India will have to take cognizance of the demands of the separatists. Published in Daily Times, February 8th 2019.